Qualys Security Conference | Qualys, Inc.
QSC is an exchange of expertise and ideas on how to better secure our digital assets and help our companies move into this new Digital Age. It is also an opportunity for our customers and partners to connect with Qualys engineers so we can better meet your needs and continue to deliver innovative solutions to address them. Qualys hosts its security conference around the world and online. Find an event below, or sign up to get notified of upcoming events near you. 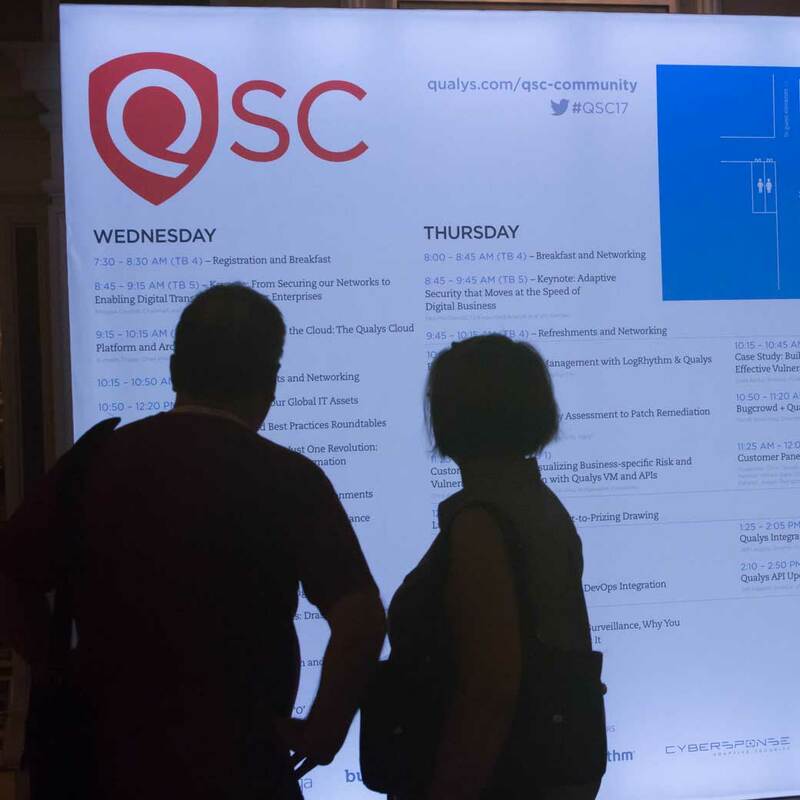 At the conference, you will meet Qualys engineers, the driving force behind our Qualys Cloud Platform, hear our roadmap for the future, listen to customer presentations, participate in round tables and have the opportunity to provide direct feedback and suggestions.